During these sessions we tested receiving telemetry through low-bit rate and error-resistant digitally modulated transmissions, as well as the JT4G modulation scheme designed by radio amateur and Nobel prize winning astrophysicist Joe Taylor (K1JT) for weak signal Moon bounce experiments. 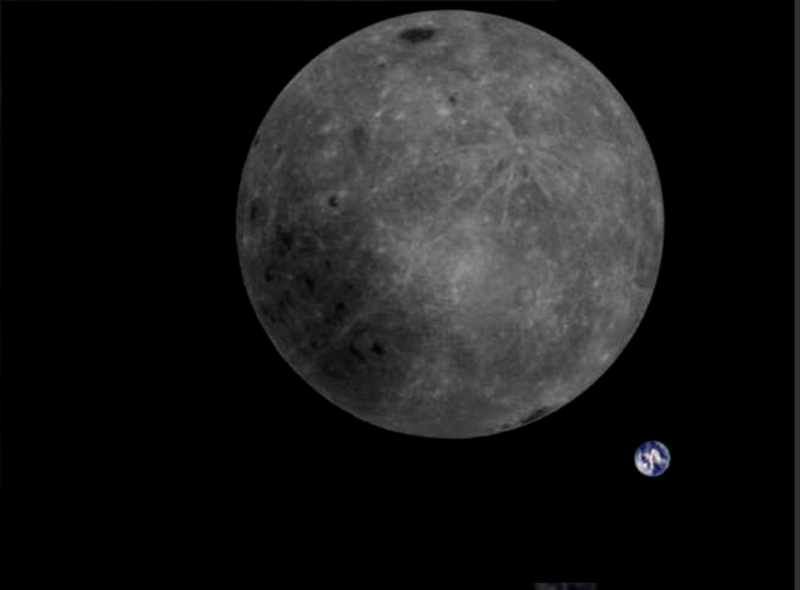 Besides telemetry, we performed a VLBI experiment by simultaneously observing Longjiang-2 from China and Dwingeloo, and also downloaded images taken by Longjiang-2 of the lunar surface, lens flares, and the starry sky as seen from lunar orbit. This full color adjusted image is received by radio amateurs, including the radio amateurs of the Dwingeloo Radio Telescope (PI9CAM) operated by Tammo Jan Dijkema and myself. Commands were created by MingChuan Wei (BG2BHC) and uplinked by Reinhard Kuehn (DK5LA). The color correction of the image is done by Wei.